The Real Psychology team is led by experienced educational and occupational psychologists who are dedicated to delivering the highest possible quality of services. All are registered with the Health and Care Professions Council and also have Chartered Psychologist status with the British Psychological Society. Alan was Principal Educational Psychologist in Kent from 1997 to 2002. He is an excellent manager of professional staff and has a superb recruitment record. In 2004 he founded Real Training with Mark Turner, dedicated to delivering high-quality programmes to teachers and schools in the UK and beyond. He is the author of Real Training’s well-respected and widely adopted Certificate of Competence in Educational Testing course. His passion is to deliver excellent services that benefit children, young people, families and schools. 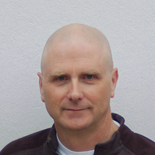 Angus has over 15 years' expertise in assessment and the application of psychology in organisational, educational and research contexts, and is the author of numerous published tests and questionnaires. Angus has worked across the public and private sectors advising organisations on recruitment, bespoke assessment, training and staff development, including high-profile work on the selection of Army Officers and the development of aptitude testing for entry to medical and dentistry schools (UKCAT). He is committed to promoting excellence and best practice in the use of psychometric assessments, being a member of the British Psychological Society’s Committee on Test Standards and the Senior Verifier for the Society’s Occupational Testing qualifications. An experienced project manager, consultant and trainer, Angus believes passionately in the ethical use of assessment to enhance individual and organisational effectiveness. Siobhan has worked with children and young people in both mainstream and special schools for over 14 years, from pre-school through to early adulthood. Assessment and intervention around developmental disorders such as autism have been a significant part of her work, including as a member of a multi-disciplinary ASD assessment team with the Child and Adolescent Mental Health Services and the Speech & Language therapy Service. In recent years, supporting the understanding of children with complex learning, social and emotional difficulties has featured strongly in her work. 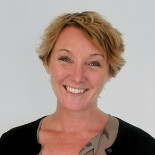 Siobhan is a Director of Real Group (UK) Ltd and the Module Leader for the National Award for SEN Coordination with Middlesex University, supporting SENCOs across the UK in meeting the needs of children in schools. Siobhan also regularly undertakes assessments for courts where children are going through care proceedings. Sarah has recently joined Real Group as a senior educational psychologist, having had over 13 years experience working within a local authority. She has extensive experience of working with schools and young people with a range of SEN needs and across all age ranges. Most recently Sarah has specialised in the field of mental health and young people with social and emotional needs. She has a diploma in solution focussed practice and has worked therapeutically supporting young people and developed, delivered and managed an early intervention approach based with a mental health service in her last authority. Before training as an EP (a role that she has worked in for over 12 years), Jalak spent a couple of years as a primary school teacher. After several years as an EP in Coventry, she moved to Hong Kong to take up a dual role as an EP and advisor for SEN training and development. Jalak’s work in Hong Kong led to a particular interest in how cultural factors can influence students’ engagement with education, and how speaking English as an additional language intersects with SEN. Jalak has extensive experience of supporting children and young people with a range of needs across all age ranges, as well as working with families and schools. She has a particular interest in social cognition challenges and how these difficulties can influence relationships with others and affect access to the curriculum. 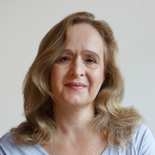 She is passionate about writing and delivering high-quality training and workshops, to enable others to develop their knowledge and understanding of how best to support those with whom they work. 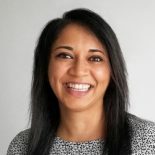 Jalak is a Chartered Member of the British Psychological Society, and is registered with the Health and Care Professions Council. As Real Psychology Services Manager, Philip Prior is strategic lead for Real Group in developing high-quality consultancy and direct psychology services to schools, local authorities, and other organisations working with children and young people. 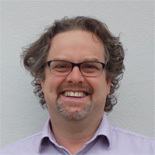 Philip has been Principal Educational Psychologist for over 15 years in two local Authorities (Medway and Wandsworth) and has extensive experience at practioner, senior managerial and strategic levels. Philip has been a visiting psychology lecturer at a number of universities and was involved in the development of 3 year doctoral training for EPs. As a practitioner, Philip has worked extensively within both education and mental health settings and has a particular interest in working with young people experiencing psychological disturbance and related emotional, behavioural and social difficulties. Philip is a strong advocate of client led and solution focused approaches when working with children and their families. He believes that integrated psychological services operating not only in schools but in the broader community and across professional boundaries offer the best opportunities to deliver holistic services and effective interventions to benefit both clients and service commissioners. Sue is a qualified educational psychologist who can offer a wide range of psychological services to schools. In addition she is a specialist who has developed expertise in the autism spectrum over the last 25 years. She has recently joined the Real Psychology team but has also worked for Real Training teaching on the NASCO award and been instrumental in the writing and development of the autism modules for which she acts as module leader and tutor. Sue has worked in a number of London boroughs as a specialist EP and formerly as a teacher in specialist settings. Her experiences are diverse and include support for ASD outreach services, early years settings, schools, parents, CAMHs teams, and multiagency child development teams. Sue works in collaboration with universities to support training. 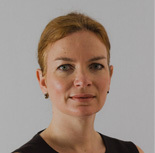 She has also worked part time at the Lorna Wing Centre (NAS) for 18 years, and within this role carries out specialist diagnostic work, assessment and training for a range of professional groups. Sue has a strong interest in girls and women on the spectrum and promotes the use of dimensional models of assessment which ensure the 'insider' perspective is strongly embedded. 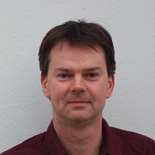 Mark is a qualified and experienced educational psychologist. Previously in his career he was a primary teacher and Special Educational Needs Co-ordinator. Mark is personable, trustworthy and a good communicator. He has been described as having an encyclopaedic knowledge of psychology however his main passion is to help bring about positive change for children, young people, their families and schools. He writes, publishes and speaks at conferences and is a trustee and Chair of the Nurture Group Network and an independent school. 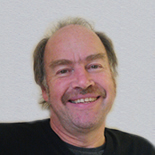 Mark is a visiting fellow at the University of East London, having previously been a senior tutor on the UEL Educational Psychology Doctoral Training course for many years. Mark is especially interested in developing new services and training courses which apply psychology to deliver real improvements to the life chances of children, young people and families. Co-founder of Real Group with Alan in 2004, Mark remains its professional and academic lead.